1. When is Virat Kohli's BirthDay? 2. What is Virat Kohli's father's name? 3. Against which country did Kohli get his first test century? 4. Who is Virat Kohli's Favorite Actress? 5. What is Virat Kohli's highest score in ODI? 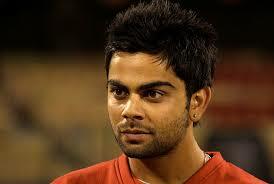 6. Who is Virat Kohli's favorite cricketer? 7. Where does Virat Kohli live? 8. What is Virat Kohli's mother's name? 9. How old was Kohli when he was named the ICC ODI Cricketer of the Year in 2012? 10. When did Virat Kohli take his debut in ODI?